This is the mentality of the profiteer Westerners, the mentality of savage colonialists, who care only to secure their interests, rather to plunder the wealth of others. They do not care about their democracy for their own interests, nor do they call for the dictates of their democracy to hold elections to carry out the process of the transfer of power, the transition to multi-party system and the delivery of political freedoms! So as not to remain a family monopolizing power and the wealth since it was set up by the British colonizer to govern in the UAE, Saudi Arabia and other Gulf countries in exchange for serving British interests. Thus, he said in his article: “We can call for change in Saudi Arabia and the UAE, but we have to know that they are our source of bread”. Their corrupt democracy, which they manipulate, and the political liberties they brag about, are not important if there is a greater interest, because utilitarianism is the criteria for actions for democratic capitalists whose stench has filled the noses. They are not concerned with the humanity, the lives of people, the human rights which they also brag about, nor the treaties they have ratified, such as the 1961 Vienna Convention on the Acts of Embassies and Consulates, which should not be a political detention camp or a mincer for the opponents and a dismemberment of their bodies. So, they will trample them if there is a greater interest than these. He rudely said in his article: “America is right not to impose sanctions on Saudi Arabia because of the killing of the Saudi journalist Jamal Khashoggi, because it is detrimental to America’s interests”. He therefore considers that “imposing sanctions on the UAE over the British who have been convicted of espionage is justified, but misplaced.” In other words, sanctions must be imposed for the killing of a journalist or an arrest of a British, but it is detrimental to the interests of the colonists. So, it is not imposed, however justified, because the criterion of actions is benefit, not humanity and defending their citizens, if there is a greater interest. 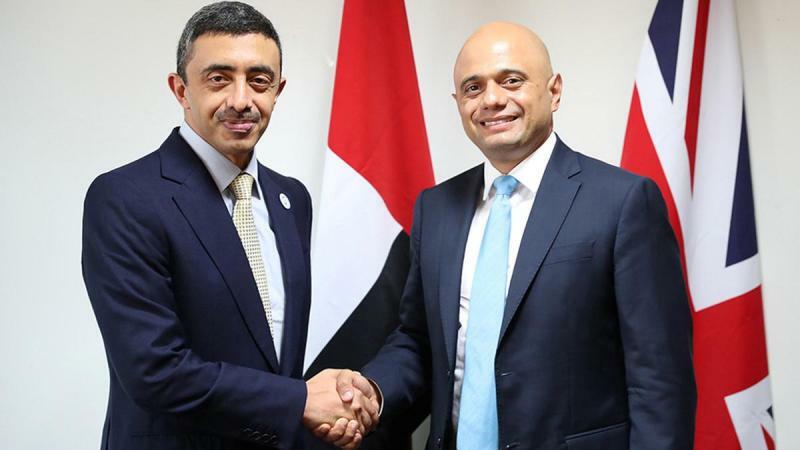 He revealed the status of the UAE as a British agent which provides services for it, and said in his article: “The UAE is also absolutely necessary and vital to Britain. It is an ally in a turbulent region of the world. It is the fourth largest market for British goods in the world outside the European Union, where UAE imports from Britain are about 10 billion pounds a year”. He exposed the reality of the UAE without giving any value to it; it is “an ally of Britain” i.e. an agent loyal to the Kuffar, and a very important market for British products, this is what Britain wants. The meaning of his words “turbulent region” is that it is a region whose people are working to liberate themselves from the yoke of the British, American and other colonists, as they have revolted against their agents in the entire region and are working to remove them and overthrow their regimes, which are the local tool of the colonists. And continues to scorn Western agents and their guardians and said “Most of Britain’s non-European and non-American allies are evil countries, they cannot choose the same as other countries”. Thus, westerners despise others, including their agents, and consider them to be evil. They do not care about the reaction of their agents in the UAE or in any Islamic country if it happened and showed any reaction, something which is not expected from despicable agents! US President Trump insulted the rulers of Al Saud and their regime and repeated the insult to them several times. He said, they would not last two weeks in power without America, and he put on the chest of their criminal Crown Prince Salman a declaration of deals for sale to Saudi Arabia, yet the crown prince laughs like a fool! He insulted Erdogan, by ordering him via Twitter to release a US priest, and he releases him through a fraudulent judicial process; knowing that Erdogan said he would not release the American priest as long as he was alive. As well as, we saw how Putin insulted Bashar Assad when he invited him to the Russian base, Hmeimim, and disdained to visit him in his palace in Damascus … We cannot mention here the extent of humiliation and disgrace to which the agents received at the hands of their masters and their guardians. Westerners; British, American, and French, along with the Russian, established these evil countries in the Muslim world. They made them evil, so that they remain tied to them, their servants, and the market for their merchandise and their source of bread. As an expression of the condition of all westerners, the British writer rudely and arrogantly said, “The UAE is vicious, vulgar country”, and he said about it and Saudi Arabia: “We have to know that they are our source of bread.” They set up on them evil rulers, so that they remain servant agents, no matter how their colonizing masters humiliated them, they bow their heads to him, saying, at your command sir! The agent is a despicable servile, because he sold his religion to work for the enemy of his nation in exchange for insignificant worldly goods. And so, the Messenger of Allah ﷺ described him as a Ruwaibidha (base vile ruler) that is the worthless who speaks of peoples’ affairs. The enemy knows the agent’s disposition; that he is worthless, eager and panting behind him, because he needs him to get a crooked chair and deficient and submissive authority. Thus all what the agent care for is to sit on this chair and rule his people and nation tyrannically, filling his greediness in love of power and accumulating money. Next PostThe Conflicting People in Yemen have no Shame! !